An eye-opening documentary about restorative justice on the rez, Anne Makepeace's Tribal Justice should be required viewing for anyone involved in running the US court system, from local lawmakers to (especially) US Attorney General Jeff Sessions. The film follows two remarkable ladies, Chief Judges for tribes on either end of California, who are implementing traditional solutions (i.e. tackling criminal behavior's causes and not just its symptoms) to keep their community members out of jails and state foster care, and on a healthy, law-abiding path. 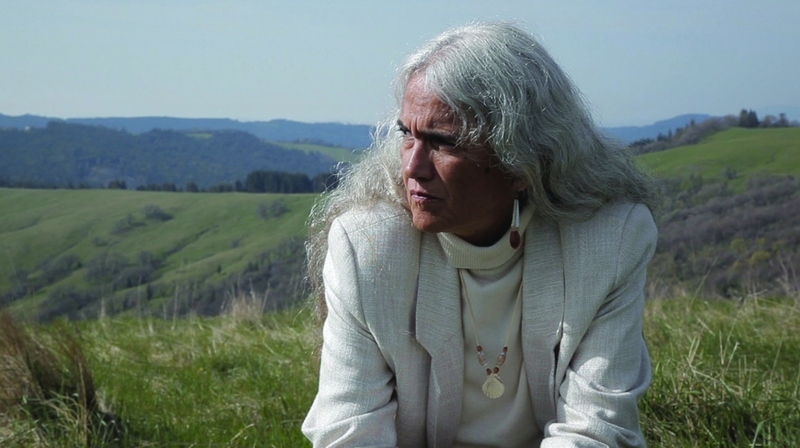 So it's quite an honor that the Honorable Abby Abinanti, Chief Judge of the Yurok Tribe on the North Coast of California - and the first Native American woman to pass the California Bar Exam (whose long résumé also notes that she's the founder of the "first tribal-run clean-slate program in the country to help members expunge criminal records, and focuses on keeping young people out of jail, in school and with their people") - found time in between court sessions to speak with Documentary. How did you meet Anne Makepeace? Abby Abinanti: We've been doing a lot of work with the Judicial Council's Tribal Court-State Court Forum, and they originally made the ask. That’s how it all started. She worked a lot with the staff at the court, and some with me. We're pretty remote and it's difficult to get there. So it took a lot for her to end up in that area at all. The film does an incredible job highlighting your heroic work, yet we don't see much of your personal life onscreen. We don't even learn why you chose to go into law in the first place! So I'm wondering if this was your choice. What was off-limits for you? Nobody really asked very much about [my personal life]. I think they were more interested in the system, what we were doing, how we were doing it and why we were doing it. I don't recall…A couple times they asked, for instance, to film the ceremonies and I said, "No, that isn't something that we do." So that was the only time. I think it was really more about systems than about people. So why did you choose to go into law? Well, "choosing" is probably not the best word to describe it. The age when that decision was made, there was a scholarship program being offered for Native people to go to law school, because there were no Native lawyers. I was the first woman in California admitted to the Bar for the tribe. So these old ladies got together who were kind of helping at the colleges and said, "You can go to law school." And I said, "I don't want to go to law school!" And then we had this whole argument about it. It's very hard to argue with old Indian ladies, so I just went. I got over to the pre-law program, and it was really the first time I'd been away from home. And I actually didn't know how to get back home. So I stayed there for the summer. I called back crying about it, and they weren't very interested in my crying around about it. They said, "You're the only one who's graduating, so you're going. We need a lawyer." So that's pretty much how it went. But in the end I think I was not ill-suited for it. I'm not a brilliant lawyer, but I'm a hardworking lawyer. Wow. You’ve seen a lot. Which brings me to my next question. The doc notes that Native Americans are the ethnic group with the highest rate of meth use. So I'm curious to know if this particular scourge has affected the tribal justice system in ways different from, say, alcoholism or other drugs abused in the past? I know the opioid epidemic is certainly straining the US court system in rural areas. Well, I think that each new evil that is injected into any community has its own life and its own victims. It's terribly painful for the families and the individuals. Nobody wakes up and goes, "I'm gonna be a meth-head." It's just not how it happens. You look at these people who you knew, who you grew up with, who you knew as children. You see their grandparents looking at them, and you see the horror in their faces and you go, "How are we gonna stop this? What are we gonna do?" And for us it's very difficult to marshal the resources - as it is in other rural communities. We weren't expecting it, and the tools we have to fight these scourges are somewhat limited. You have to have the ability to mount a campaign against it, and it's not easily solved. And once that happens to a community, trying to push it away is very difficult. But your Wellness Court does provide multiple safety nets - including help in finding work, housing, etc. - in an effort to keep folks out of jail. Indeed, one of the most remarkable scenes in the film is when Taos, an addict and former state inmate who did a long stint in San Quentin, actually turns down your offer to dismiss his case after he's made outstanding progress. He's self-aware enough to know that he still needs the community support and monitoring in order to keep on the right path. I wouldn't say it's monitoring. I would say it's what you'd say to be a reasonable expectation from other people in your family. When people come to the court, you want to make them feel like they’re coming for help - just as I would go for help to my extended family. The court, in my mind, I want to be seen as an extended family. Not, "Oh, there's going to be consequences if you don't behave." The consequences are really on them already. Nobody wants to go down that road. They just don't. In other words, you treat them like a human being, not an "addict." However, I also know that community can be a double-edged sword. Addicts relapse when they're around other addicts. So how can you ensure that individuals like Taos stay law-abiding and clean when so often the family members they rely on are addicts themselves? If [someone like Taos] needs help on a Saturday afternoon or a Friday night, they know they can call us and we'll go help them. Or they become the helpers, too, because they want to behave in a way that's helpful. As a culture, we're very responsibility-oriented. We're responsible for our own behavior and for assisting others. So it's not much of a stretch once you're focused, and once you're back in the right sort of place, you want to do the right thing. And you realize that some of these other people are having issues. And you give them the chance to not do that around you. And sometimes people make mistakes - humans have a propensity to make mistakes - and when they make mistakes you go, "OK, how are we gonna solve this?" I've known Kelly [Taos's wife] since she was a baby. I knew her parents; I still do. We have a lot of interlocking commitments. They have support, and yeah, they make mistakes. And I've made mistakes. So you look at it and go, "Let's try the best we can to do this right." And to be a steward of the place that we're supposed to be. We were never meant to be like this. It's not our purpose in life. You do mention early on in the film that in state court the judge is a stranger, whereas in tribal court the judge is always someone you know. And that this notion goes back to "pre-invasion" ideas. Indeed, one of the most fascinating aspects of your work is the fact that you're in uncharted legal territory - none of your tribal justice history was ever written down. You're forced to make up the rules as you go along. But were there any traditional ways you tried out, only to find they simply didn’t work in the 21st century? It really is based on a value system, our court system. And then you work on practices. Like you brought up, we did not have meth 200 years ago. There was no practice to deal with meth. But what we did have 200 years ago were those values that you and I are now discussing. So what we try to do in our court system is have those values form practices. And in doing that we work on helping the person walk away from meth and walk back to where they should be. So for each person it actually can be different. It isn't a uniform, "OK, if this works for Taos it's going to work for this person over here." It may not. What works is the values: "We're not gonna let you go; we're gonna try to be here; you belong here; we want you here; we want you back." That's what we work on. Then the practices: "You may need to go to rehab for a year, then come home and let's try it. You may need to go for 90 days, then come home and let's try it." So how you actually do it is often different with each person. It really depends on where they are and what they need. And you talk with them, and you work with them and go, "Maybe it would be better if we tried it this way. What do you think? How do you feel about this? How are we gonna go forward?" But the bottom line is, "You're always knowing that we want you to be successful. We want this to be behind you." It sounds like there may be a lot more flexibility in your system than in the US court system. Yes, but in many ways we're also less flexible, in the sense that when you do make a mistake, we pretty much know about it right away. And we will be all over you. It isn't about, "OK, well, your probation officer, your parole officer, is an hour away. No, I live up on the hill, and if I see you I'm gonna be on you in a heartbeat." So in some ways, yes, and in some ways, no. The film actually mentions that many states off the rez are taking notice of your successes, and attempting to implement their own versions of tribal justice. I'm in a state [New Mexico] with a large Native American population - but also a Republican governor. Are there particular states or cities that are more receptive than others to your tribe's holistic approach? I was looking at this one article the other day about how the federal system seemed to be more receptive towards women's rights issues, and they were trying to figure out why, and which judges were doing that. Basically, the judges who had daughters were more receptive. So it really comes down to the human component of it. I don't know if it comes down to this party or that party. Right now we're in this whole ugly struggle in this country. But we have the capacity to be more human than what we're demonstrating at the moment towards each other. To go, nobody wants to be like this. Nobody wants to lose a child to drugs. Nobody does. I don't care where they come from or what their belief system is. You don't want that ever. Finally, I was quite disturbed to learn from the doc that the percentage of Indian children still placed in state care is three times the national average - a pretty outrageous statistic considering the atrocious racist history behind the separation of families. I'm sure this issue is complicated, but isn't there a way for tribal family courts to maintain exclusive jurisdiction over these cases? Well, some tribes do have exclusive jurisdiction and some do not. It's really a matter of resource allocation. It should be part of every tribe's rights, and we need the resources to manage these issues. Tribal Justice premieres August 21 on PBS’ POV. Lauren Wissot is a film critic and journalist, filmmaker and programmer, and a contributing editor at Filmmaker magazine. Her work can also be regularly read at Salon, The Rumpus and Hammer to Nail. Currently, she serves as the features programmer at the Hot Springs Documentary Film Festival.